Labeled the hike on Kauai, the Kalalau Trail is an 11-mile trek into paradise. A vast array of verdant valleys, waterfalls, sea caves and gorgeous vistas lay ahead of you. To hike the entire trail and also spend time exploring Kalalau Beach and Valley takes 3-5 days. Most people are day hikers that don't ever make it all the way out to Kalalau. The popular day hike from Kee Beach to Hanakapiai Beach- approximately 2 miles along the trail (four miles round trip)- receives the bulk of hikers. As you begin the trail, you'll traverse through a lush jungle-like scene of pothos and another philodendron. The trail can be steep and rocky in places, but trust us - it's the climb you'll notice most. Use extreme caution in any wet portions (granted, it's almost all wet along this stretch), and expect mud if it has rained recently. After the first leg of the climb, at about half a mile, you emerge on a red dirt path that borders the cliffside overlooking the gorgeous NaPali Coast. Azure blue waters lie beneath you to the right overlooking Kee Beach below. You've climbed to the highest point between Kee and Hanakapiai; about 500 ft. above sea level. The short portion of the trail to this point can be a lot of work, but this is one of the most gorgeous views of the hike. If you can't or don't want to day hike to Hanakapiai Beach, at least try to make it to this overlook (one-mile round trip). During the winter months, you will be rewarded with views of outstanding waves, while in the summer you may see a group of kayakers floating along the current on the calm seas. After you finish your first mile you'll really start to be rewarded with a stunning view of the NaPali Coast. You're well on your way down to Hanakapiaai Beach now, and be sure to enjoy the trek down - it's mostly uphill on the way back. Just shy of two miles, the trail dips steeply downward through several switchbacks and you'll soon find yourself at Hanakapiaai Stream. Use extreme caution crossing the stream, and if there has been consistent heavy rain recently or the flow is high, do NOT cross at all. If you want to cross without getting your feet wet, you can sometimes skip across the rocks if you head inland a few meters; however, it is far safer to get your shoes wet (or take them off and put them back on the other side) than it is to potentially slip on a rock and fall. For anybody carrying a heavy backpack, standard safety protocol is to unbuckle the waist and chest straps prior to crossing the river; that way if you fall in the river you can easily escape your pack and come up for air. Sometimes there is a rope tied across the river to help with crossings; however, the general rule is to not cross unless you are sure you can do so safely. Although Hanakapiai Beach is a dangerous swimming spot, most drownings and near-drownings in Hanakapiai occur in the river when people try to cross in water that is too fast and deep and they are swept away by flooding river waters. The water at Hanakapiai is usually clear and ankle-knee deep with enough rocks visible above the surface to rock-hop across. But if it looks like a muddy, raging torrent DO NOT attempt to cross! Crossing the river in waist-high water requires skill and extreme care. If the water is over waist high, do not try to cross the river under any circumstances – just wait; eventually, the flood waters will subside. Please do not place yourself at risk by walking on boulders that are wet with sea water - if the boulders are wet it means that the waves come up that high. And although they may be far away when you are looking at them, wave heights vary greatly between sets and getting washed off the rocks is a very common way people get injured or even drown. Even in the summertime, when the beach is deep with white sand, people sometimes venture along the lava rock shelves on both ends of the beach. Many people have met their demise by being swept off these shelves by large waves after venturing on them at a low point in between sets. If the rocks are wet, stay off! A local rule of thumb is to watch the ocean for 20 minutes before going in or walking in a tidal zone. We also highly recommend that you do NOT swim in the ocean at Hanakapiai Beach. There is often strong undertow, rip currents, a dangerous shore break, and the reflection of the surf off the rock walls of the shoreline creates irregular and unpredictable waves. After crossing the stream, to your right is Hanakapiai Beach. Some pit toilets, that leave much to be desired, are also to your left (near where the trail continues and/or heads back to Hanakapiai Falls). In the summer months, there is plenty of sand on the beach, but in the winter you'll be surprised to see only lava boulders at times. Every year the current carries the sand into the ocean only to return it in the spring. Total elevation gain (going and returning along all inclines) between Kee and Hanakapiai is 1,060 ft. and the hike takes approximately an hour and a half at a moderate pace. Hiking the Kalalau Trail is most certainly a bucket list adventure. As we mentioned, exploring the trail safely is of the utmost importance. That’s why we recommend touring with a seasoned guide; it ensures your safety and gives you the absolute best hike possible. Not feeling up to exploring on foot? Then book a helicopter tour for a spectacular view of the lush green Garden Isle below. We recommend these Kalalau Trail tour professionals. As a side trip (extended day hike), you can follow the unmaintained Hanakapiai Falls Trail upstream for two more miles to reach the spectacular 100-ft. high Hanakapiai Falls. Please note this is an additional 2 miles (4 miles round trip) not included on the Kalalau Trail. It can take up to two hours just to reach the falls and requires numerous stream crossings. Total elevation gain to the falls from Hanakapiai beach is 760 ft. This is a fairly strenuous hike. The hike out of Hanakapiai is a rather arduous climb and the views are mostly behind you (be sure to look behind you at the beach as you climb). You'll hike through a grove of some of the largest sisal plants you've likely ever seen; they range in size from that of a small bean to the size of a house. You also can't help but notice how much the trail has narrowed - only a fraction as many people hike this portion of the trail as that between Hanakapiai and Kee. After doing a good bit of climbing, you'll come to Space Rock, the highest point anywhere on the Kalalau trail, approximately 700 ft. above the waves below. Space Rock is 3.25 miles from the trailhead. As you keep going, you'll begin the hike into Hoolulu Valley, which is the first major valley after Hanakapiai Valley along the Kalalau trail. It's approximately 3.7 miles along the trail, and the 4-mile marker is inside the valley. Hoolulu means "the sheltering place," so named for the sea cave far below which was used to shelter voyaging canoes in ancient times. Parts of the trail here can be steep, so use caution. At approximately the 4.5-mile mark is the entrance of Waiahuakua Valley. The views here up of the NaPali Coast are stunning. From this point, it is still another grueling 6.5 miles to Kalalau Valley. If you are doing a day hike past Hanakapiai, this a good place to turn back and head for the trailhead. For the bold day hiker, you can continue to Hanakoa Falls and still make it back in the same day; however, it is a very long day. If you're hiking all the way to Kalalau Beach and want to split the hike into 2 days, Hanakoa is a good place to camp. We personally prefer the campsites on the Kalalau side of the river. After Hanakoa Valley, you climb up and then descend a series of switchbacks onto what is affectionately known as Crawlers Ledge because people who are scared by the narrow and exposed ledge have been known to crawl across on hands and knees. If you are not used to exposing heights and ledges, this can be a nail-biting experience for you. Of course, if you grew up hiking to Kalalau and back, then it is a nice place to take a break and have a snack (just make sure that there are no mountain goats crossing above you, as rock fall from goats can be quite dangerous). Crawler's Ledge is often a windy place; navigating it with a full pack can be challenging if you are not used to it. Once around the corner from Crawlers Ledge, the wind stops and you'll pass several beautiful valleys before coming up to the 8-mile bluff with a clear view of Kalalau. From 8 mile, it is only 2 more miles to Kalalau Beach. You'll have passed all the major valleys already so the trail from this point on meanders quickly in and out of little valleys. There is a nice 2-tier waterfall about 1/2 way to Kalalau - it is a good place to rest before your final push to the top of Red Hill. Red Hill is the gateway to Kalalau, a large cinder cone guarding the entrance. Before descending into Kalalau, make sure to take a moment to really consider the sign which encourages visitors to remember that Kalalau is a sacred valley to the Hawaiians and to depart knowing that you have preserved it for future generations. Kalalau is an amazing place; it used to be home to over 6,000 indigenous people who lived sustainably off the land. It is also a major archaeological site; although many of the rock walls and intricate irrigation structures were destroyed by cattle brought in by ranchers to graze here in the first part of the 20th century. There is an abundance of good camping and lots to explore in Kalalau. We think Kauai’s hiking trails are simply some of the best we’ve ever trekked, and we’re excited for you to explore the Kalalau Trail and more. Unparalleled views, glorious flora and fauna, and unforgettable adventures await you. Check out these Kauai hiking trail information links and get ready to explore! There’s nothing worse than being unprepared for your Kauai hiking adventure. Make the most of your precious vacation time by being comfortable, safe, dry, and ready for anything that comes your way. 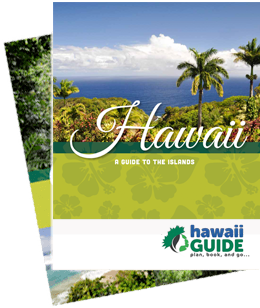 Pick up your hiking books, travel essentials, rain gear, and more right here and hit the ground running (or hiking) in Kauai.